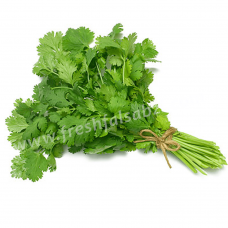 Coriander is rich in antioxidants and minerals such as magnesium, iron, potassium and calcium. They also contain beta carotene and vitamins A & C. They possess anti-inflammatory, antioxidant and antibacterial properties. They help battle "arthritis", "nausea' and reduce cholesterol levels. They also aid digestion and promote healthy liver function and prove a natural cure for "acne".